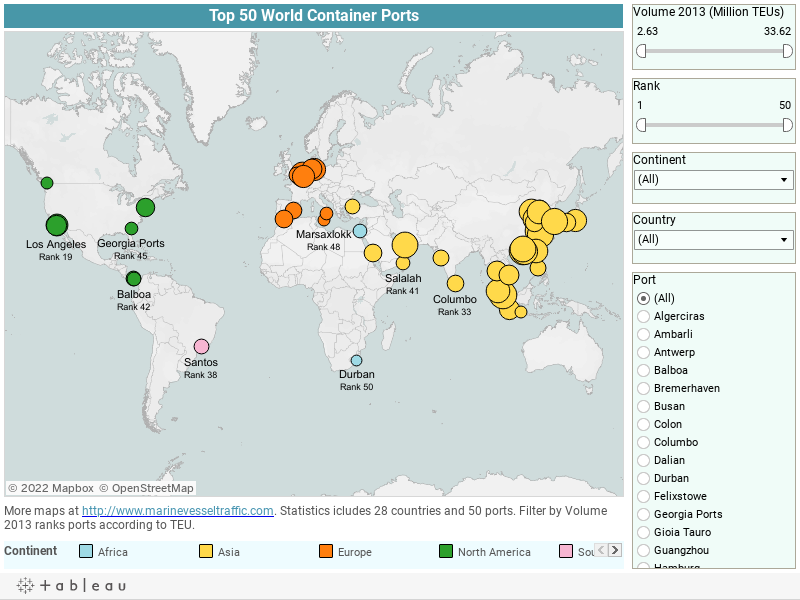 Container Ports and Terminals Location, Names, Maps, Images, Statistics, Handled Volumes per Annum in Million TEU. Ranking. 19 North America Los Angeles U.S.A.
21 North America Long Beach U.S.A.
27 North America New York U.S.A.
45 North America Georgia Ports U.S.A.